Cardi B attends the Fashion Nova x Cardi B Collaboration Launch Event at Boulevard3 on November 14, 2018 in Hollywood, California. Cardi’s political run may be extended beyond social media, if Iowa has anything to say about it. The “Money” rapper has been invited by Democrats of the state known for its presidential primary season caucus to speak at “a reception of her choice,” the Des Moines Register reports. Polk County Democrats figured, hey, while Cardi is performing in Des Moines for her Invasion of Privacy tour, she might as well make a quick stop to chat with her politically enthused fans as well. Plus, it looks like Cardi is game. She’s leaving it up to you, the people. A true democracy. “We are definitely serious about this,” said Polk County Democrats chair, Sean Bagniewski. 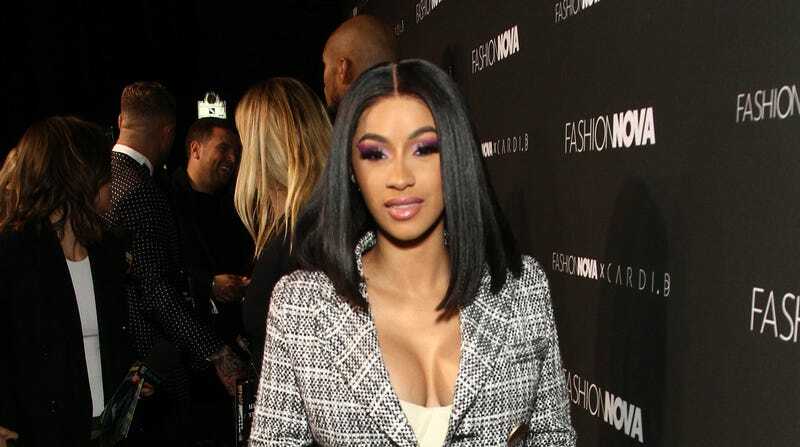 This comes after Cardi has implemented a lovable and approachable platform on political issues, including ranting on the recent government shutdown. Plus, she offered a badass retort to a particularly ignorant conservative that almost made me Howard-Dean-scream in jubilation. I mean, she’s already blessing us with her riveting political analysis on climate change on Instagram. The Root broke down the numbers when it comes to Trump and Obama; Cardi provided the visual. It’s like we’re kindred spirits. “Stranger things have happened,” noted Bagniewski. You mean the time America decided a sentient salamander would be the best choice for president? True.